As I was riding the bus the other day, the driver came to a stop at a red light. While there he saw someone he knew and opened the doors. The individual got on, they greeted one another, and he promptly got off. While this was happening and the bus was still waiting at the red light, a woman came nearly running down the aisle of the crowded bus asking to be let off, as she thought it was her stop. The bus driver had to let her know that the open door was not her stop. Her stop was actually several blocks away. The woman obviously knew where she wanted to go, but she didn’t know where she was. Going through life we are going to have many opportunities to do many things. This coupled with the fact that there will be many things we want to do and more importantly, things that God will call us to do. Because of this it becomes necessary that we quell the desire to run through every open door. Every open door does not mean we are to go through it. As indicated in the story of the woman on the bus, had she gone through that open door she would not have been in the place where she needed to be. 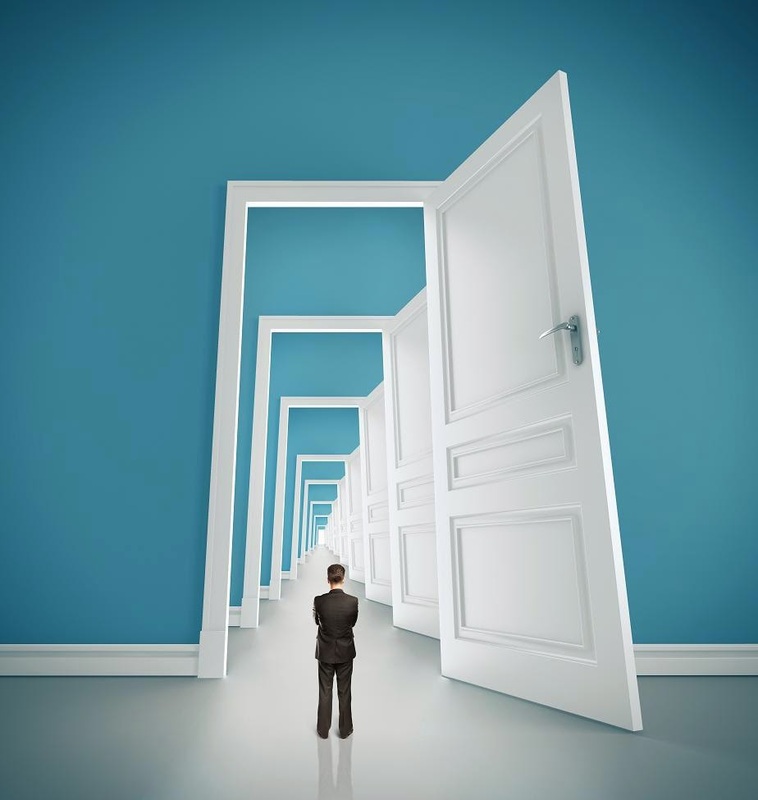 In those particular instances where the direction we need to take seems obvious to us because the way seems clear and the door looks to be wide open, it is yet crucial that we know the heart of God in the matter. Many an individual has brought misery into their life because they took a wrong turn and went through an open door because it appealed to their flesh. It looked good. It sounded good. It must be good. Therefore it must be God. Nothing could be further from the truth. In Genesis 13 we see Lot’s predicament. Given a choice by his uncle Abram to go in whichever direction he desired, we read, ‘And Lot lifted up his eyes and beheld all the plain of Jordan, that it was well watered every where…So Lot chose him all the plain of Jordan…’ (Genesis 13:10-11). Lot’s decision was made no doubt based on the fact that the land was fertile and well watered. Would we have done any differently? Probably not, but did he do the right thing? The answer may be debatable, except for a scripture in 2 Peter which says: ‘And delivered just Lot, vexed with the filthy conversation of the wicked: ‘For that righteous man dwelling among them, in seeing and hearing, vexed his righteous soul from day to day with their unlawful deeds.’ (2 Peter 2:7-8). Lot wound up paying a terrible price for entering an open door that was set before him. When we go back to Genesis we see this same Lot, willing to send his own two daughters out to a lustful mob rather than have the mob ravage the two angels that were in his house (Genesis 19:8). The open door that led to Sodom had taken its toll on him. For Lot it was the price of an open door. Summing it all up, what is needed is discernment. Bible teacher John MacArthur defines it this way: ‘In its simplest definition, discernment is nothing more than the ability to decide between truth and error, right and wrong…’ We do well by taking in all the components of a given situation, weighing it carefully, and taking it to the Lord in prayer. The difficult part is waiting to hear from Him. Do not necessarily wait for His audible voice. Though he can and most definitely does speak to His children this way, He also many times uses other people to speak, and of course His Word. His Spirit will put an impression upon your spirit, that you won’t be able to resist, and to say it bluntly, you will JUST KNOW. So let’s be mindful of open doors. It may or may not be the one you need to go through.